I have several UFO in process that I go back to from time to time. 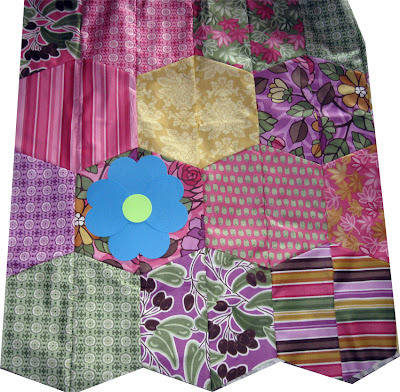 The current one I picked up for a little was the Santorini Quilt that I am trying to find the perfect flower shape to add on. The first set of accuquilt go shapes were too small. Recently, I auditioned (using paper, ignore the color paper used) several heart and circle shapes to form flowers. Here's an example in paper. In the photo is 4 hearts, but, it may need 6 hearts. However, if I place 6 hearts, it could be too heavy. 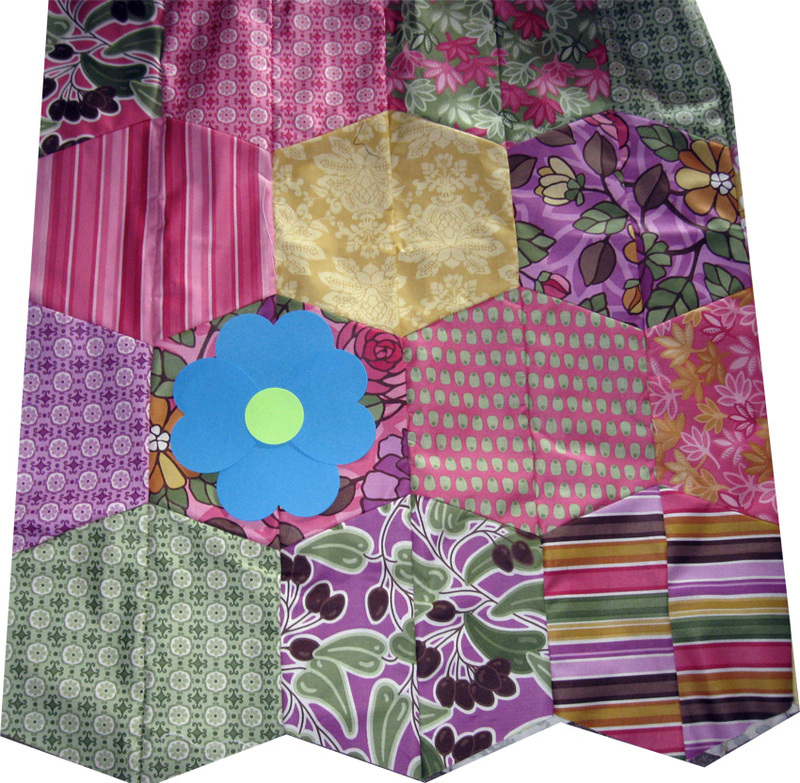 The flower fabric will be the tonal fabric that matches the tonal fabric in the quilt. I'm hoping they will tone down the wild fabric. I practically skipped this whole past week of crafting because of an issue at work that needed my undivided attention for long, long hours. After many days, the issue has calmed down. However, a new issue has cropped up and one that was not expected. It looks like the economy may be affecting positions at work in the future. So, I may have a lot of free time in my future to craft. There's the positive spin on things. Time will tell.